It's once again that time of year, new classes, new teachers and an entire year of learning and discovery await kids as they head back to school. Here are a few tips to keep things flowing smoothly at home, especially in the science area. Use binders for organizing projects or subjects. 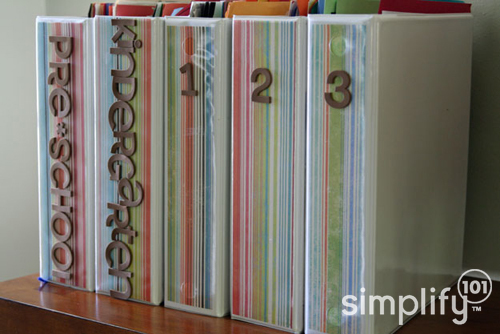 If you have multiple kids use separate binders for each child. Create a science binder that you will fill up all year long with images and projects. You might want to create sub-folders in your science binder for categories such as Earth Science, Physical Science, Reptiles, etc. Create a small science safety kit and put it in a place where your kids know how to locate it should they need to. It doesn't have to be advanced - but if you build the kit with your kids it will make them aware of the importance of science safety. Create a science storage area where the kids can access supplies when needed, but also know how to put scientific instruments away to protect them. 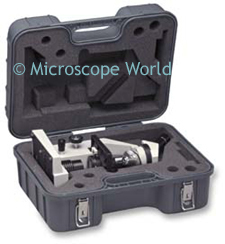 If you have a microscope, store it in a case, or keep the microscope dust cover on it when not in use. Many science projects are time-intensive, or require use of space that may need to be used for other activities (for example - the kitchen dinner table). If you have space, set up a small card table that can be used for science projects. Make sure the kids understand the importance of clean up, but also that if their project takes 3 days to complete it is ok to leave the project on that table while it is in-process. If you can, take time to meet your child's science teacher. Often schools have tools such as microscope cameras or microscope prepared slide kits that kids can use outside of class. There may be items that can't be removed from the science class, but the students might be able to come into the science room for use outside of class hours. Make science fun and kids will continue to enjoy the discovery process. Have a great new school year!